In 2015, the Ford Fiesta was again Britain’s top-selling car model but the Vauxhall Corsa replaced the Focus as the UK’s second most-popular car. Eight of Britain’s favorite top-ten cars were the same models as last year but the Mini and Vauxhall Mokka rounded out the list in 2015. New passenger vehicle registrations in the United Kingdom increased by 6.34% in 2015 to 2,633,503 cars – the highest car sales in a calendar year ever in Britain. In 2015, the Ford Fiesta was again Britain’s favorite car model. 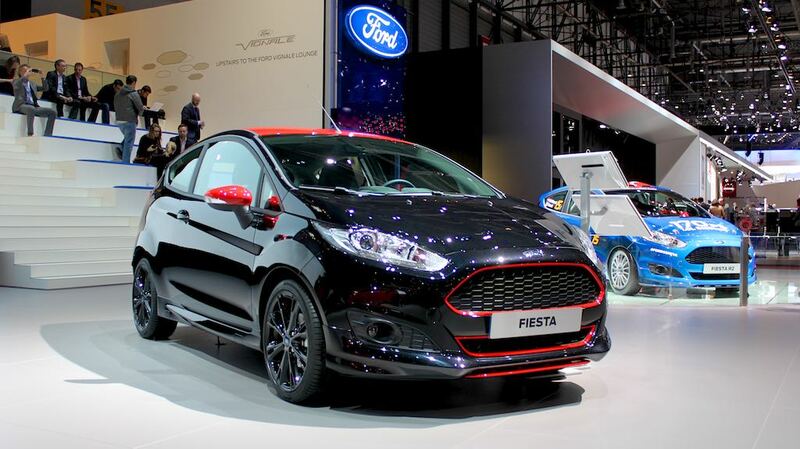 This was the seventh consecutive year that the Fiesta has been the most-popular car model in the UK. The Fiesta was last outsold by the Focus and Corsa in 2008. Although the Fiesta remained the clear favorite car of the British, Ford managed to sell only around 2,000 more Fiestas than a year ago – not a stellar performance in an expanding market. After two years in third place, the Vauxhall Corsa reclaimed second position on the list of the ten most-popular cars in Britain in 2015. Vauxhall sold over 10,000 more Corsas in 2015 than in 2014. Ford sold around 100 Focus cars fewer per month in 2015 than in 2014. As a result, the Focus slipped one rank position to third after two years being the second most popular car in Britain. Volkswagen similarly sold fewer Golfs in Britain in 2015 than a year ago but kept fourth place for the second successive year. Although the emission scandal that broke in September certainly did not boost Golf sales, VW sales in general did not seem to have suffered too much in Britain during the final quarter of the year. The Nissan Qashqai moved up one position with an increase in sales of over 10,000 cars – no other model did better in volume terms. For the third consecutive year, the Volkswagen Polo improved by one rank position in Britain. Polo sales, in contrast to the Golf, increased by nearly 7,000 cars. The Vauxhall Astra slipped two positions to seventh. The Astra was still the fourth most-popular car in Britain in 2013. Vauxhall must hope that the release of a new model with the Astra a similar sales boost as had happened with the new Corsa. The Audi A3 was the eighth best-selling car model in Britain in 2015 for the second consecutive year. Audi sold over 2,000 A3 cars more than a year ago. The Mini re-entered the top-ten list of Britain’s favorite car models for the first time since 2011. In December 2015, the Mini was Britain’s third best-selling car model. The Vauxhall Mokka entered the top-ten list of top-selling cars models in Britain for the first time in 2015. It was also the first time since 2011 that Vauxhall had three cars amongst the top-ten models in Britain. The Fiat 500 and Nissan Juke slipped out of the top ten from a year ago.